Davidson Academy junior Nathan Stewart prepares to throw a baseball during practice. Stewart was diagnosed with Stage 3 melanoma earlier this year. Finding out he had cancer didn't worry Davidson Academy junior Nathan Stewart too much because he knew he had three factors working in his favor: family, friends and baseball. Last fall, Nathan found a spot on his head and eventually discovered he had Stage 3 melanoma. Melanoma is a type of cancer that is almost always curable in its early stages, but its seriousness lies in how quickly and how far it can spread. After the diagnosis, Nathan underwent a six-hour surgery at Vanderbilt. "I guess I had the worst kind you can get because it spread so fast. They had to take out a bunch of lymph nodes in my neck because it had spread to them," Nathan said. What scared him the most was not having cancer, but the possibility of not being able to play his favorite sports, football and baseball. "This would be really hard if I couldn't play," Nathan said. 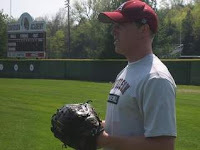 It also would have been hard for baseball coach Jim Carter, who says Nathan is one of a kind. "I forget about the cancer most days because he plays hard, playing essentially every day, and he always performs at a high level," Carter said. "He gets treated the same as everyone else because he acts like everyone else. … That's a compliment to Nathan and the type of person he is. "I've never had to coach in a situation like this, but if every kid handled themselves like Nathan … it's just unbelievable." Elaine Goad, a fourth-grade teacher at Davidson Academy and mother of Ryan Goad, a teammate and friend of Nathan's, also has high praise for the left fielder. "This young man has shown a great amount of faith during this trying time in his life," Goad said. In the beginning, Nathan didn't think much about the disease, firmly believing he could beat it. But then the reality of his situation hit home when radiation treatments took a toll. He would take the treatments on weekdays and still go to school. "It (radiation) does make you really tired. … It drains you. It also changes your taste buds. Your favorite foods just don't taste the same. Thankfully, that's finally going away," Nathan said. His friends and teammates said finding out about the cancer was probably harder on them because Nathan was so nonchalant about it. "He really didn't seem all that affected by it. He was just like Nathan," said David Roehrig, 17. Taylor Hudson, 18, said, "When we first found out we didn't know what to expect. And then we worried that our power-hitting left fielder wouldn't be here anymore. It really hasn't seemed to affect him." Mac Swann, 18, joked that any pain he may feel physically has been put in perspective since Nathan's battle with cancer. "He's doing better than me right now," Swann said, whose knee was giving him some pain at baseball practice recently. "It makes our problems not so bad." The team has rallied around Nathan, showing its support by wearing the familiar yellow bracelets that promote cancer awareness. Nathan is in remission now, but he must have PET scans monthly to make sure the cancer doesn't come back. A PET, or Positron Emission Tomography, scan involves injecting a form of sugar containing a small amount of radioactivity into the blood. The sugar collects in cancer cells, and a camera detects the radioactivity and shows the areas of cancer in the body. During last week's practice, Nathan wore a different shirt from his teammates, light gray instead of dark maroon, to help deflect the sun's powerful rays. It's just one precaution he can take to fight the disease, along with eating more healthy foods and getting more exercise. The disease might have struck at him, but Nathan's plans are to knock the disease out of the park by not giving up and going on with his life. An outsider might get uncomfortable listening to Nathan's friends talk to him, calling him "cancer boy," making light of his condition, but that person wouldn't know these guys. It's all gentle ribbing, good-natured prodding at a friend with a problem. It's how they get by. "It's funny, but I think cancer actually brings you closer to your friends," Nathan said. Contact Lea Ann Overstreet at loverstreet@tennessean.com or 259-8205. Acting on a tip, we began following Metro Public Works crews in January. Over the course of 6 random days we saw some crews working hard, while others took it easy. We showed what we found to Metro Public Works Director Billy Lynch, who wasn't happy with what he saw. He says the actions of a few reflect poorly on a 4-hundred member department filled with hard-working people. Lynch says he isn't bothered by employees who make a quick stop at the bank on payday or running into a market on metro time to get a drink, but he takes exception to sleeping on taxpayer time. Public works employees get two 15-minute breaks during their shift and a 30-minute lunch break. But our investigation also discovered a time-keeping policy at public works that's ripe for abuse. TO WATCH THE VIDEO CLICK HERE MUST SEE, VERY INTERESTING. By ANDY HUMBLES | ahumbles@tennessean.com | 726-5939 • April 25, 2008 A program titled Know Your Diabetes Care Team is scheduled for 11 a.m. Wednesday, May 14 in Classroom D at Summit Medical Center. The seminar is the fifth in a six part series. It will focus on the need to find and use a diabetes support team and explores the services provided by various team members, including a Certified Diabetes Educator, dietician, endocrinologist, family and friends. Teri Luina of the Summit Diabetes Center, will be the presenter. A light lunch will follow the program. The seminar is open to diagnosed with diabetes or those caring for an immediate family member with diabetes. Reservations are required. Call 342-1919. Nashville crackdown has forced migration into nearby countiesBy CHRISTINA E. SANCHEZ • and MARIA GIORDANO (Tennessean) • April 28, 2008 Two weeks before the fatal shooting of a Franklin teenager in what appears to be a gang-related fight, Nashville police gave gang awareness training to Williamson County school faculty. The school officials' request in March for the training suggests a willingness to acknowledge, although not yet publicly, what they and local law enforcement had long been reluctant to admit: Gangs exist in suburbia. "Gangs have always been here, probably much longer than the Police Department was aware or recognized," said Sgt. Charles Warner, a detective with the Franklin Police Department. "We've started to see a slow increase. By no means is there an epidemic." Several smaller communities outside of Nashville have seen an increase over the past few years in gang presence and gang-related crime. Local police departments attribute gangs' migration to growth — and to Metro's aggressive police crackdown on street gangs in Nashville, which pushes criminal activity to outlying cities. But experts say that the gangs building bases near newer, pristine subdivisions lack the organization, hierarchy of power and carnage that are hallmarks of notorious gangs in Chicago or Los Angeles. "You have suburban communities surrounding a metro area, and gang activity does spill over sometimes," said John Moore, director of the National Youth Gang Center in Florida. "The gangs in the Nashville area are much more typical as a whole to the rest of the United States, but unlike places such as Chicago." They rarely deal drugs; petty thefts and gang-on-gang violence are traits of the suburban gang. Middle Tennessee's gang members are youths and adults, of different races and ethnicities. They wear signature colors, flash gang signs, have nicknames and mark their territory with graffiti. They join for reasons that range from false promises of the get-rich-quick gangster to the desire to have a "family." Tackling gang activity is necessary to keep it from escalating. Already about 10 percent to 15 percent of youth violence in Tennessee has gang ties, Moore said. "No city wants to admit that they have a gang problem, but you can't deal with it until you acknowledge it," he said. "These communities that are saying they have a gang problem are taking the first of 12 steps to deal with the problem. Conflicts can turn deadly Sometimes, the interaction of rival gangs turns violent and even deadly. Authorities believe an argument between members of different gangs on April 13 in Columbia, Tenn., had fatal consequences for Juan Castro, 16, of Franklin, and Patricia Garcia, 24, of Spring Hill. A group of men in a car pulled alongside the sport utility vehicle carrying Castro, Garcia and nine other people, and opened fire. No details have been released on what gangs were involved or what the argument was about. "We have enormous intelligence that this particular incident was gang related and that there are gangs in Maury and Williamson counties," said Kristin Helm, spokeswoman for the Tennessee Bureau of Investigation. "We can't say how many gang members there are or that this gang is this. It's hard to know." Not all cities or law enforcement agencies track gang members or gangs. The Metro Police Department started a database in 2004, said Metro police Sgt. Gary Kemper. Metro logs all suspected gang members who get arrested in Davidson County into a database. Officers have recorded 4,700 gang members with 15 major gang names such as Bloods, Crips, SUR-13, MS-13 and dozens more subsets within those categories, Kemper said. Some of the gang members arrested in Davidson are from other counties, and in a recently prosecuted gang case — one of the largest in Middle Tennessee history — half the members of a gang known as MS-13 were from Wilson, Rutherford and Williamson counties, Kemper said. He sees more Hispanic gangs in Williamson such as SUR-13, a Mexican gang also known as surenos. In Rutherford, more Asian gang presence is felt with groups such as Asian Pride. "Just because a community has families that make a little more money doesn't make them exempt," Kemper said. Educators get training Awareness and training can teach communities and parents the signs to look for to know if their kids are involved in gang activity, Kemper said. In a rare meeting of two school boards in Williamson County last week, directors Becky Sharber of Williamson County Schools and David Snowden of the Franklin Special School District said that gang activity was a possibility and that they were taking steps to raise awareness. Administrators and staff are undergoing training to identify the signs and colors of gang members. Teachers are expected to get training later. Both leaders told board members that there was no significant activity now but that they were committed to dealing with the issue openly. Capt. Alan Laney of the Williamson County Sheriff's Office, who oversees resource officers in Williamson County schools, said they had not seen gang activity in schools until this past year. So far, the presence has been little more than fights between boys, he said. Nevertheless, Laney said officers have heard that Juan Castro was affiliated with a gang. "We have identified the student that was the victim and other students as being involved in gangs," he said. Some parents of students at Centennial High say the school was unfairly and unjustly targeted as having a "gang presence" simply because Castro went to school there. Franklin resident Darlene Johnson has two children at Centennial High School, one a senior and the other a sophomore. "Before they run scared and fear the worst, look at what the school is doing positively, like Challenge Day," Johnson said referring to an anti-conflict program that brings students closer together. "What people seem to be clinging to are the negativities," she said. School presence not seen Laney said there's little to suggest these gangs of young men are doing anything more than emulating the gang-member lifestyle. There's no evidence of illegal activity in the schools, Laney said. "We don't know what goes on outside of school," Laney said. "I can't say they have weapons." In the April 13 shooting that lead to the death of Castro and Garcia, police said, an AK-47 automatic assault rifle was used to fire at the sport utility vehicle in which Castro and Garcia were riding, Columbia police reports show. The firefight stemmed from a dispute at a birthday party in Columbia, though officials have declined to release what the fight was about. A 22-year-old Columbia man, Javoris Deray Sparkman, who was one of four people arrested in the shooting, claims to be a member of the Vikings, an offspring of a predominantly black gang known as Folk Nation. The Vikings have a presence in Maury, Davidson and Rutherford counties that sometimes spills into Williamson, authorities said. Pictures of Castro found on the Internet and circulated among his friends show him and others flashing hand signs associated with the Hispanic gang known as SUR-13. According to Insideprison.com, an independent research site on criminal justice issues, SUR-13 is a street gang that exists in all major cities. It's widely believed that such gangs originate in prisons, where membership affords protection from other inmate populations. In Franklin's Cadet neighborhood off Liberty Pike, where Juan Castro lived, few neighbors would comment publicly about any gang activity in the area because of fear. Many neighbors said they were well aware of an increase in police surveillance. A bright blue 13 on a stop sign in the neighborhood and more gothic-style writing on a drainage culvert in the Franklin neighborhood identify SUR-13. In Lebanon in Wilson County, police have seen similar signs of gang activity in federal housing. Two of the city's three murders last year are believed to be gang related, said Lebanon Police Chief Scott Bowen. While police have seen an increase in robberies and shootings that have gang connections, they have not heard of a real gang presence in the school system. Most of the gang members who commit crimes in Lebanon are not from there, he said. "It seems like when Metro cracks down, it pushes them to us," Bowen said. "We're seeing more and more people come up to our projects from Nashville to deal their drugs and do their business." Staff writer Mitchell Kline contributed to this report. Contact Christina E. Sanchez at cesanchez@tennessean.com or 726-5961. Contact Maria Giordano at mgiordano@tennessean.com or 771-5425. Addiction recovery Agency: The Alcohol & Drug Council of Middle Tennessee Description: Seeks volunteers to answer its 24-hour Helpline. Shifts vary from 5 to 12 hours and can be split among volunteers. To volunteer: Call John or Mary Ann at (615) 269-0029. Fighting cancerAgency: The American Cancer Society Description: Needs volunteer drivers to transport cancer patients to and from treatment. To volunteer: Call 327-0991. Fighting diabetes Agency: American Diabetes Association Description: Need Volunteers to help plan the annual fundraising walk and also help with some clerical work. To volunteer: Call Lynley McCarley at 298-3066 ext. 3332 or e-mail lmccarley@diabetes.org Liver wellness Agency: American Liver Foundation Description: Needs volunteers to help with events, do clerical work and to be trained for speaking engagements. To volunteer: Call Kristy Weir at 297-6421 or at kweir@liverfoundation.org. Domestic violence haven Agency: Bridges of Williamson County Description: Needs volunteers to raise funds, sort donations, be a women's advocate, pick up donations, provide transportation, and staff a crisis line. To volunteer: call 599-5777. Helping children Agency: Cannon County Reach Description: Needs volunteers May 3 to paint and clean up. To volunteer: Call Angela King at 563-5518. Homes for all Agency: Community Housing Partnership Description: Needs volunteer building and painting crews. To volunteer: Call Stephen Murray at 790-5556 or e-mail Stephen@communityhousing.info. Juvenile court advocates Agency: Davidson County Court Appointed Special Advocate (CASA) Description: Needs volunteers to serve as juvenile court advocates for abused and neglected children in Nashville. Morning and evening training classes offered. To volunteer: Call Cindy Johnson at 425-2383 or visit www.casa-nashville.org. Christian women's job corps Agency: Diamonds in the Rough Description: Needs teachers who teach G.E.D., an interpreter, mentors and anyone who loves working with single women and children. To volunteer: Call 500-4785. Family literacy program Agency: Estoy Aprendiendo ("I'm Learning") Description: Needs volunteer teacher tutors for adults learning English, volunteers to aid staff in toddlers room, and volunteers to tutor school-age children. To volunteer: Call Tracy Jennings at 941-8658. Helps the developmentally disabled Agency: Evergreen Presbyterian Ministries, Inc. Description: Needs a carpenter to lower cabinet and build storage spaces, a musician for music therapy and an artist for arts and crafts sessions. To volunteer: Call Sereadia Dunn at 366-7454 or e-mail sdunn@epmi.org. Rescues animals Agency: Happy Tales Humane Description: Happy Tales Humane is need of foster "parents" for dogs and kittens. To volunteer to foster a dog: Please call (615) 791-0827, ext. 14 or e-mail Caninecorner@happytaleshumane.com. If interested in fostering kittens: Call 791-0827, ext. 11 or e-mail kmathis@happytaleshumane.com. Supports seniors Agency: Hendersonville Senior Citizens Center Description: Needs desk volunteers Monday noon-3 p.m. and Tuesday, Wednesdays and Thursdays 9 a.m.-noon. To volunteer: Call Joy Borawski at 822-8758. Helps at-risk children Agency: Monroe Harding Description: Needs mentors and tutors for at-risk children. Training will be provided and the time commitment can be as little as an hour a week. To volunteer: Call Melissa Houck at 298-5573, ext. 121 or e-mail melissahouck@monroeharding.org. Learning supplies for at-risk children Agency: PENCIL Box program of the PENCIL Foundation Description: Needs shopping assistants during teacher appointments Tuesday-Thursday from 2-5 p.m. at 1300 56th Ave. North, Nashville, TN 37209. To volunteer: Call Sarah Killpack at 242-3167, ext. 233. Supports Nashville public schools Agency: Pencil Foundation Description: Needs volunteers to become tutors and mentors to students during the school year. Reading Partner volunteers serve elementary students as one-on-one tutors and classroom readers. Math Partner volunteers tutor fifth and sixth graders using manipulatives and problem-solving activities. To volunteer: Call Pencil at 242-3167, ext. 235 or visit www.pencilfoundation.org. Services for the mentally challenged Agency: Prospect Inc., Description: Needs volunteers to wash vans and help with various individuals. To volunteer: Call Bill Potter at (615) 444-0597. Assists seniors Agency: Springfield-Robertson County Senior Center Description: Needs a volunteer seamstress to sew denim curtains for Adult Care Center, volunteer painters, light carpentry (framing), sheet rock hangers, and light electrical for center refurbishing. To volunteer: Call Sarai Reed at 384-6367 or e-mail rcsc@bellsouth.net. By MICHAEL CASS • Staff Writer (Tennessean) • April 25, 2008 New business owners would get to spread out their payments for large water and sewer connection fees under legislation the Metro Council will take up next month. The bill, filed at the council office Friday by the Metro Law Department, aims to tweak a situation some water users have complained about recently. It would let entrepreneurs pay their "capacity fees" to hook up to the water system over 36 months instead of all at once. Some new restaurant owners have complained of capacity fees of as much as $42,000 - a potentially back-breaking expense for a start-up business. The fees took effect almost two years ago. Commercial water and sewer users with new connections and less than 5,000 gallons a day of average use would qualify for the installment payment plan. Residential users would not qualify. The proposal to spread out the payments is a short-term fix; Metro officials say reducing the connection fees would result in a general water rate increase for all customers. Ok District 29 neighbors, I hope you got your FREE grill dinner at Captain D's today! You know, "That Great Little Seafood Place." And indeed it is. My family had our delicious fill at the Captain D's near the Nashville Zoo on Nolensville Road. Wow it was really GREAT! Sandy the Vice-President (pictured) was even there greeting the customers, helping out with service, answering any questions and receiving comments (all positive from my eavesdropping distance). Yes, the Vice-President! The staff was awesome. Bobby Bell and the crew, especially the lady checking the orders as they were ready, provided fast, orderly and friendly service. This campaign was pretty impression for such a FREE event! While there, I ran into some other District 29 neighbors. Gail Hughes (also pictured), owner of State Farm Insurance on Rural Hill Road, was there with her family. Like a good neighbor, State Farm Gail Hughs, knows a good deal and is there. I would say it's time for a nap, but it's off to the park with my son and nephews. Thank you Captain D's and the whole Captain D's staff. We will be enjoying your grill dinners more often. They were good....definitely! District 29 Great American Clean-up Save the date of Saturday, May 24, 2008 as the day/date set for the District 29 Great American Clean-up. The Metro Council recognized by Council Resolution, the period of March 1 to May 31 as the Great American Clean-up with the month of May for when Davidson Countians are to get with neighbors, watch groups, associations and various community organizations to clean-up, spruce up and clean out. In the month of May, the Alliance of District 29 will host the District 29 Great American Clean-up on Saturday, May 24, 2008 from 9 am to 1 pm with Food Fun and Fellowship to be held from 1:30 pm – 3:30 pm in the parking lot of the Smith Springs Church of Christ, 2783 Smith Springs Road in Nashville. Please contact Lawrence Jackson of Metro Beautification @ 862-8418 to get FREE gloves, trash bags, flower seeds, and T-shirts for your clean-up group. “This is a great way to begin your spring and summer by cleaning up your community and neighborhood and visit with your neighbors,” says Mr. Jackson. District 29 residents/community organizations are asked to contact Juanita Veasy, Beautification Commissioner of District 29 @ 399-6746 or Lena Brown Prince at 366-3728 for District 29 Great American Clean-up day. Or contact Council Member Vivian Wilhoite at www.vivian-29.blogspot.com or 589-2003 for detailed information. 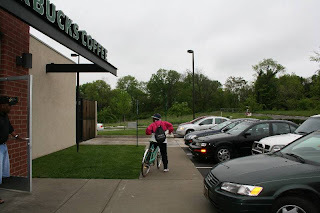 First stop this Saturday Morning is at "Starbucks" for a hot cup of coffee! 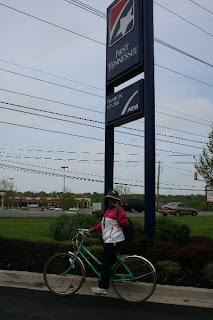 Then she heads over to the First Tennessee Bank for her Office Hours. After listening to concerns from District 29 residents, it was time to go home. Have a safe ride home Vivian! 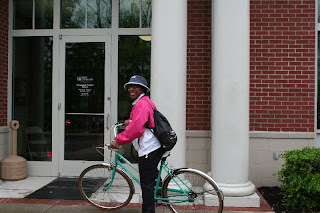 I bet you thought when I said that I was riding my bicycle to work, you thought I was riding to my downtown office? That will happen in my next life. Huh? Who are you kidding? Vivian stated that she is also trying to promtote better health and a cleaner environment. 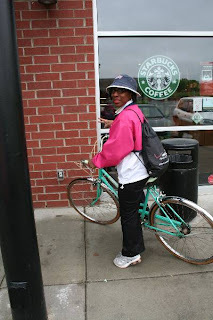 Thus the reason for ridding her bicycle. Her photograher (who was in her car), said Vivian Where is your Helmet??? Antioch High School (prom) Time and date: 7-11 p.m., May 2 Location: Hilton Hotel downtown Theme: "A Radiant Night" with colors black, silver and blue Ticket prices: $50; $60 after spring break Interesting fact: Each year, the juniors raise money through the sale of prom tickets to pay for their "walk fees" at graduation. The school will be renting Belmont's Curb Center for its graduation this year. Ezell-Harding committee chooses details for junior/senior event By SUZANNE NORMAND BLACKWOOD • Staff Writer (Tennessean) • April 23, 2008 ANTIOCH — From deciding on the entertainment to the food to what the theme will be, planning for a junior/senior prom or banquet involves decisions, decisions, decisions. "We started out the year (with) a 'bajillion' magazines," said Ezell-Harding Christian School student Kenzie Blanks, who is the junior vice president and served on this year's planning committee for the school's junior/senior banquet. "We had to agree on a theme," she said, adding "Black Tie Affair" was the final choice. "We had to choose invitations and place cards," said Kristen Hensley, committee member and secretary of the junior class. "We actually went and tasted the food. There was a full menu, and you got to pick," added Jenna Fox, junior class president. "That was our favorite part." The school's banquet will be April 25 in the Millennium Maxwell House Hotel. Budgeting is a big concern In conjunction with the banquet, the juniors put together a CD for the seniors. "It's a slide show of pictures from their senior year," said Chelsea Shrum, junior class treasurer. "You always want to make it the best possible for our juniors and our seniors, because it's their last year," said Jenna. "The best we can with the budget we have," said Kristen. "Oh yes, that's the big thing, the budget," added Jenna. The students have had to find creative ways to pay for the banquet, which this year ran about $8,000. "We do cookie sales every Wednesday," said Kenzie. "We have 'cookie moms,' and they bake a 'bajillion' cookies. "Now, we're selling T-shirts for our powder puff football game." Supervision can be issue After the banquet, many students will gather at the home of one of the school's seniors, whose parents are hosting a post-banquet party. Other parents are helping to pay for the party. The post-banquet party is not a school-sponsored event. Although the post-banquet party for Ezell-Harding will have parental supervision, a common concern each year during prom or banquet is the lack of supervision of high school students. However, said Kathy Douglas, whose daughter Philista Berry is a senior at Antioch High School, the assumption that prom is a time when "girls go wild" is an exaggeration. "I think a lot of it is a myth," she said. Douglas said she trusts her daughter "to stay out of trouble," and hopes she has "fun — good, clean fun" at her prom. The junior/senior banquet is a time when "you get to see everyone at their best," said Kenzie. "You get to dress up. It's one day out of the school year you get to feel special," said Jenna. But Chelsea said it is "the memories" that make the junior/senior banquet a really special occasion. Indicted poll worker retains voting privileges? Davidson election commission disappointed by DA's dealBy MICHAEL CASS • Staff Writer • April 23, 2008 A former Davidson County poll official who was accused of voting illegally has kept her voting privileges after striking a deal with District Attorney General Torry Johnson's office. The Davidson County Election Commission has written a letter to Johnson expressing its disappointment, said Lionel Barrett, senior adviser to the county election administrator. Vancey Voorhies was indicted on charges of voting twice in the Metro Nashville general election last August. She worked at the Stratford High School voting precinct in East Nashville. She was accused of voting under her own name during early voting, then voting under someone else's name on the day of the election. Voorhies was indicted on two felony counts and one misdemeanor count. Barrett said Voorhies was placed on pre-trial diversion and will be able to get her criminal record expunged if she "refrains from any further criminal conduct" through mid-July. She'll be able to vote in the next Metro election in August. "She could vote today," Barrett said. "There is no loss of civil liberties of any kind." Barrett said the election commission "would have preferred a different outcome" but emphasizes its respect for Johnson and his independence as a prosecutor in the letter, which was signed by all five commissioners and could be mailed as early as today. Johnson's spokeswoman, Susan Niland, and Voorhies' attorney, Richard McGee, did not immediately return phone calls seeking comment today. The Arthritis Walk - is the Arthritis Foundation's annual nationwide event that raises awareness and funds to fight arthritis, the nation's leading cause of disability. It is a tremendous opportunity to help improve the lives of the 46 million men, women and children doctor-diagnosed with arthritis. Get your company involved or recruit friends and family members to form a team. 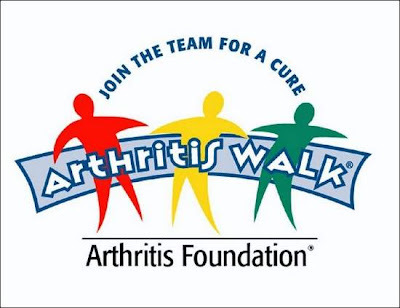 Best of all, walk in honor of a loved one with arthritis and know you're making a difference by raising funds to support Arthritis Foundation research, public health and public policy efforts to improve the lives of people with arthritis. - Choose from a three-mile or one-mile walk route. - Write an inspirational message on the Wall of Heroes. - Wear a blue "hero" hat if you have arthritis. 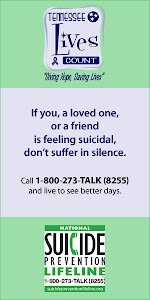 - Enjoy the fun, festivities and free health information. Register online today! Once you register, you can set up your own personal Web page and begin fund raising. Raise $100 or more and earn an official Arthritis Walk T-shirt. There are many opportunities to volunteer for the Arthritis Walk as well as the Arthritis Foundation. Aged stadium needed major upgrade to be playable By RACHEL STULTS • Staff Writer (Tennessean) • April 11, 2008 The paint was still drying in the stands. And the sound of hammers and saws echoed through the ballpark Thursday as workers scrambled to get ready for the Sounds' home opener against the Iowa Cubs. Groundskeepers put the finishing touches on the pitcher's mound in preparation for tonight's game. And in the stands, a painter methodically stenciled row numbers on the concrete. It's show time for the aging Greer Stadium. The Nashville Sounds have spent more than $1 million during the off-season upgrading the stadium. Those fixes — a new clubhouse for players, better lights in the field, improvements to restrooms, walkways and seats — will keep it going for another three to five years. By then, the Sounds will need to make major renovations, build a new ballpark or consider moving out of Nashville. "If we had not spent the money we did over the last year it's safe to say baseball would not be played," said Sounds General Manager Glenn Yaeger. "We continue to express our need for a new ballpark, and how important that is for the future of baseball here in Nashville. We're hopeful we can identify a solution," The 31-year-old stadium was not meant to last beyond 30 years, Yaeger said. It seats 10,000 fans, typically draws 400,000 fans per season and is one of the oldest Triple A stadiums in the nation. "It was built as a Double A facility in 1977, and facility standards back then were much different," he said. "It was built on the cheap, and never would have been a facility that would have been approved today." This year marks the beginning of the Sounds' 11th season as a member of the Pacific Coast League and its fourth year as a Triple-A affiliate of the Milwaukee Brewers. Nashville bucks trend Branch B. Rickey, league president, said Nashville's continued use of Greer Stadium bucks the national trend of building new minor-league stadiums. "There really has been a renaissance in minor-league facilities over the past 15 years," Rickey said. "Many municipalities have recognized (building new stadiums) is an opportunity to help local fans have access to outdoor recreation, access to live professional sports during the spring and summer." Metro Finance Director Rich Riebeling said that while city leaders are glad to see the upgrades, a deal to build a new one must be struck under the right conditions, in which the burden is not on taxpayers. "You can't neglect what you have," Riebeling said. "These were necessary improvements, and realistically speaking, we're more than a couple of years away from a (new) stadium under the best of scenarios, even if you started today." The Sounds have campaigned for more than five years to build a baseball stadium south of Broadway, on the west bank of the Cumberland River. A deal for the riverfront ballpark fell through last year, leaving fans wondering about the future of baseball in Nashville. But there are no immediate plans for relocating the stadium, and league officials say they must focus on working with what they have. Rickey said investing the money for improvements wasn't the best option, but one that was needed. "In order to be fair with home team players, visiting team players and with the umpires, something had to be done," he said. Clubhouse was too small Most of the upgrade dollars have gone toward building a new $750,000 clubhouse after Sounds management learned their facility was "unacceptable" by league standards. The old clubhouse, located under the stands, was too small for the players and in constant need of maintenance, especially when it rained and the roof leaked. The stadium's new 48,000-square-foot clubhouse is located behind the outfield and will be used by the home team, visitors and umpires. That clubhouse is still under construction and is expected to be ready by the April 28 home game. In the meantime, the Sounds will use the player facilities at LP Field while visiting teams will continue to use the clubhouse at Greer Stadium. Meanwhile, there are some improvements for the fans as well. Aged walkways and broken seats have been replaced. Lights in the infield and outfield have been upgraded. The scoreboard is fully functioning, and the restrooms have been improved with new fixtures and partitions. But there's still a lot more to be done. "It's a constant uphill battle," said Joe Hart, assistant general manager of operations. "We've been going at it hard since the first of January, but every time you walk through you see something else that needs to get fixed. We've got a things-to-do list about five pages long. But we're trying to be proactive." By MICHAEL CASS • Staff Writer (Tennessean) • April 22, 2008 The Metro Transit Authority will hold four public hearings next month on possible fare increases and route cuts as it faces a difficult budget year starting in July. The authority is considering increases of as much as 25 cents to the $1.35 basic bus fare, it said in a news release today. The basic fare rose from $1.25 to $1.35 in February. 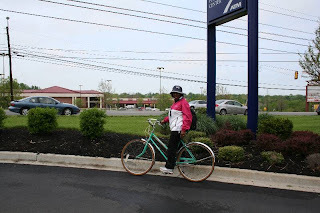 MTA also is considering eliminating or changing the following routes: 1 Vine Hill; 2 Belmont; 8 8th Avenue South; 13 Sylvan Park; 16 Madison/Old Hickory; 18 Airport/Elm Hill Pike; 30 McFerrin; 31X Harpeth Valley Express; 37X Tusculum/McMurray Express; 41 Golden Valley, and 45X Oak Hill Express. MTA is facing a $2.9 million budget shortfall in 2008-09, CEO Paul Ballard said last week. It expects to spend about $6 million on diesel fuel, an approximately 50 percent increase from the current fiscal year's roughly $4 million fuel cost. 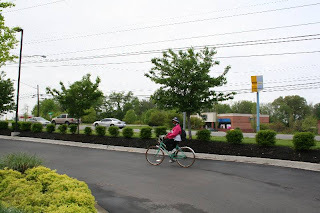 The public hearings will be held May 5 at 6 p.m. in Rochelle Center (Building A), 1020 Southside Court; May 6 at noon and 5:30 p.m. at the Nashville Public Library, 615 Church St., and May 8 at 6 p.m. at Madison Library, 610 Gallatin Pike. 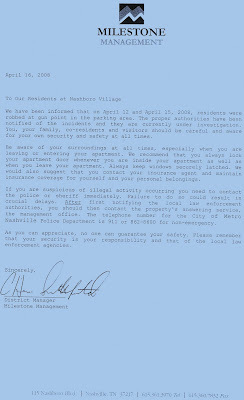 People also can fax comments to (615) 862-6208 or e-mail them to mta.publichearings@nashville.gov through May 14, 2008. They also can call (615) 862-5950 or write to MTA at 130 Nestor St., Nashville, TN 37210. Chris Echegaray (Tennessean)• April 22, 2008 The criminal court clerk's office in downtown Nashville's A.A. Birch Building suffered water damage after a sprinkler head dropped four inches of water near the customer service area. They are open today. The leak in the six-story building at 408 2nd Ave. occurred just before 9 p.m. last night, said Tommy Bradley, chief administrative officer. Bradley is determining the damage. The state-of-the art $49 million criminal justice building was dedicated two years ago. Girl Scouts from Lake Providence church help Edison Elementary to earn Gold Awards By SUZANNE NORMAND BLACKWOOD (Tennessean)• April 18, 2008 ANTIOCH — The motto of Girl Scout Troop 676 is "Girl Scouts Do More than Sell Cookies." Several members of the troop, which meets at Lake Providence Missionary Baptist Church, recently demonstrated this with a community service project at Thomas A. Edison Elementary School. The project helped fulfill a requirement for the Gold Award, which is the highest honor a girl can receive in Girl Scouts. Only about one in every 25 Girl Scouts receives the honor. The project at Edison included planting shrubbery; painting a school portable; and painting the bases of all four of the school's portables, as well as their steps, landings and doors. The girls also washed the walls of the school's restrooms and shoveled three truckloads of mulch "equal to eight or nine residential lots" to place around trees on the school's grounds, said troop leader Paulette Allen. Caylor Haynes, a student at Antioch High School who participated, said they paid for some of the supplies out of pocket. The school provided the rest. Caylor said the experience taught her an important lesson about deadlines. Although it was cold when they worked, "we only had a short amount of time to get things done." Briana Brooks, who also attends Antioch High, said for her, it was a familiar environment. She likes to work outdoors, and she frequently helps her grandfather, George Brooks Sr., and father, George Brooks Jr., on various jobs. "They do landscaping, yard work and painting," she said. But for many of the girls, working outside was new, Caylor said. Briana said the experience helped build team spirit. "It helped us grow more and work together." Caylor said this was one of the greatest rewards of the whole experience, "getting to know the rest of my troop." She said she learned that she can work with others as a team. "I generally like to work alone, but I can work with others if I need to," she said. "Finishing the project and knowing we helped the community and the school" was also rewarding, said Briana. "I'm glad it's over, and I hope the kids enjoy the look of the school," said Caylor. Requirements for the Gold Award take about two years to complete and include three interest projects; earning a Career Challenge Award and a Leadership Award; and completing community service project totaling 65 hours. The girls' interest projects dealt with topics ranging from women's health and breast cancer to creative cooking and travel. The Scouts also had a reading list, which included titles such as Write Now, Got Money and College 101. The books focused on improving writing skills, money management and preparing for college, respectively. "There's an entire gamut of stuff they have to do," said Allen, adding she requires that she girls type all of their assignments to get them used to the college and professional environment. "I always tell my girls, 'If you want anything in life, you have to work hard for it,'" she said, adding this was the largest group of girls she has had yet to receive the Gold Award. "Also, you have to appreciate what you do," she said she tells them. "If it doesn't mean anything to you, it's not going to mean anything to anyone else." Edison's principal, Ronald Powe, said the work the girls did was of tremendous value to the school, and he's glad to be associated with Troop 676. "They enhanced the quality of the campus, . . . and they did it in adverse weather conditions," he said. "They showed tenacity and character by getting in there and staying with it." SOUTHEAST— Today through Wednesday, 8 p.m. - 5 a.m., there will be lane closureResurfacing s on Bell Road eastbound and westbound in order to work on handicap ramps. One lane will remain open. Jim Wyatt • Staff Writer(Tennessean) • April 17, 2008 Former Titans quarterback Steve McNair will announce his retirement on Thursday at a noon press conference in Baltimore. McNair played from 1995 to 2005 with the Titans before playing the past two season with the Baltimore Ravens. He had his best season with the Titans in 2003 when he was named NFL co-MVP. Former Titans and current Baltimore Ravens Derrick Mason and Samari Rolle are expected to join McNair at the press conference Thursday. McNair was a first round draft pick by the Houston Oilers in 1995. He guided the team to Super Bowl XXXIV during the 1999, the franchise’s proudest moment. He was traded to the Ravens in 2006 for a fourth round pick because of his large salary cap number. McNair spent the past two seasons with the Ravens, guiding the team to the playoffs in 2006 as the Ravens finished 13-3. But McNair finished last season on injured reserve, and there had been speculation that he could end up retiring. Learning supplies for at-risk children Agency: PENCIL Box program of the PENCIL Foundation Description: Needs binders, arts and crafts materials, educational magazines, containers and a wide variety of supplies that a teacher would be able to use in the classroom. To donate: Call Sarah Killpack at 242-3167, ext. 233. Support for seniors Agency: Perry County Council on Aging Description: Needs file cabinets, round tables and chairs and bookcases. To donate: Call Marianne Watson at (931) 589-5111. Developmental disabilities help Agency: Progress Inc. Description: Needs computers, five-drawer filing cabinets, wheelchairs, six Cracker Barrel-style rocking chairs, large print editions of Readers Digest, and other large print books. To donate, Call Susan at 399-3000, extension 39 or Pat at extension 17. Educates at-risk children Agency: Project Reflect Description: Needs a projector and a projector screen. To donate: Call Lynda Evjen at 228-9886 or 517-5713 Helps the mentally challenged Agency: Prospect Inc. Description: Needs a metal-coated picnic table, a tow motor and a Ridder Pallet Jack. To donate: Call Bill Potter at (615) 444-0597. Helps those facing challenges Agency: RHA Health Services Description: Needs a washer, dryer, living room furniture, bedroom furniture, patio furniture, kitchen table and chairs, fax machines and computers. To donate: Call Susan Farmer at 367-1181. Assisting seniors Agency: Shelbyville/Bedford County Senior Center Description: Needs a washing machine, aprons, dish towels, a medium freezer and food donations. To donate: Call Sonia Miller at (931) 684-0019. Serves the disabled Agency: Quality Living Inc. Description: Needs two filing cabinets and a rocking chair. To donate, Call Bambie Mansaray at 365-2230, ext. 208, or 886-8863. Striving for independence Agency: Resources for Human Development Description: Needs a desk printer, LCD projector for training, gardening supplies, sheets, linens and homegoods. To donate, Call Kathleen Newbold or Pierre Womble at 391-8088. Works with seniors Agency: Shelbyville/Bedford County Senior Citizens Description: Needs a big screen TV and a Wii game for the seniors to participate in interactive games and sports to improve mobility. To donate: Call Sonia Miller or Barbara Strahn at (931) 684-0086 Therapeutic horseback riding for the disabled Agency: Silver Bullets Ranch Description: Needs building materials to construct a feed room, a freezer, filing cabinets, trophy cases, a storage building, arena panels or fencing for horses, a horse trailer and a house or camp trailer. To donate, Call (931) 685-9946. Medical help Agency: Tennessee Personal Assistance Description: Needs 3-inch binders, a heavy duty copy machine and copy paper. To donate: Call Sweden Kwenda at 578-2029 or 331-6200. Settles refugee families Agency: World Relief Description: Needs clean queen-sized mattresses and box springs, tables and chairs, couches, living room chairs, end tables, pots and pans, silverware, glasses, small kitchen appliances, calendars, hangers and folding chairs. To donate: call 833-7735 Faith-based community assistanceAgency: You Can Make It Description: Needs an office chair, filing cabinet, kitchen table with six chairs, floor light and two wood chairs for clients. To donate: Call Deborah Harding at 977-5372. All but two Antioch cluster elementary schools are over capacity, and people across Nashville — including Mayor Karl Dean, Metro Council members and the Board of Education — have noticed. But that doesn’t mean there will be money to solve the problem anytime soon. Metro Nashville Public Schools capital master plan, approved in January of 2008, includes allocation of funds for a new Antioch elementary school sometime during the 2010-2011 school year. MNPS Public Relations Coordinator Olivia Brown said it typically takes two years from the time of funding for a new school to open — one year for design and one for construction — meaning that a new elementary school in the Antioch cluster would probably not be opened until five years from now. The capital master plan is flexible and can be amended by the school board, a step that school board member Karen Johnson says should be taken. Johnson’s district includes the Antioch cluster. The shortage of classrooms in Antioch is part of a larger problem in the area, as Metro as a whole works to catch up with providing services in Southeastern Davidson County. The Metro Parks Department has called Antioch underserved. Council members as well as other community leaders are advocating for a community center for the area. Johnson said she was cheered by a recent motion of the MNPS Rezoning Task Force, which voted on Friday to recommend that the district undertake a feasibility study for a new Antioch elementary school. The approved motion also included a recommendation that Una Elementary School be returned to the Antioch cluster, after it was recently changed to the McGavock cluster to relieve overcrowding. The task force’s proposed student assignment plan is a work in progress until at least this May — their decision to shift Una students won’t necessarily make it to the panel’s final set of recommendations to the school board, and the school board won’t necessarily follow up on everything the task force recommends. But Johnson nonetheless considered the decision good news. The task force isn’t the only local entity taking note of conditions in Antioch. 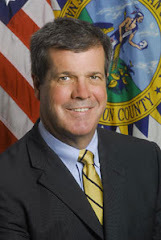 Mayor Karl Dean said publicly in February that he agrees there is a need for more educational services in the Antioch area. At the time, Dean said that part of town has not received the “resources” it needs. Dean spokesperson Janel Lacy said Tuesday those comments still reflect the mayor’s views. And earlier in February, Metro Council approved a motion expressing support for the school board in planning for a new elementary and middle school in the area. In this tight budget year, however, it may be that no amount of political support will be enough. As Nashville’s housing market has made Antioch an increasingly economical place to live within Davidson County, the population there has boomed. MNPS has invested in a number of new classrooms in the area over the course of recent years, most notably construction of Cane Ridge High School, which will open this fall and lead to creation of the new Cane Ridge cluster. Opening the Cane Ridge cluster will create some space, according to MNPS’s Brown. A.Z. Kelley and Maxwell elementary schools, which are operating at 106 and 100 percent capacities respectively, will both have their fifth-grades established at Cane Ridge’s Thurgood Marshall Middle this fall. Upcoming projects — some of which will be put out for bidding this summer – are also geared to alleviate some of the overcrowding. Cole Elementary, which is operating at 128 percent of capacity, and Moss Elementary, which is at 113 percent of its capacity, will both be getting additions. 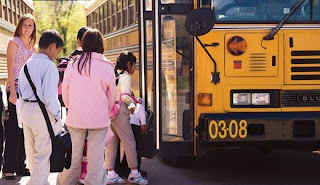 Brown said Joe Edgens, executive director for facilities and operations at MNPS, said the three elementary schools most likely to be overcrowded in the upcoming school year are Lakeview Design Center, Mt. View Elementary and Thomas A. Edison Elementary. These schools are currently operating at 112, 115 and 100 percent capacities, respectively. Concert Chorale of Nashville will perform with high school group By SUZANNE NORMAND BLACKWOOD • Staff Writer (Tennessean) • April 16, 2008 ANTIOCH — When all Metro high schools were invited last fall to apply for a chance to do a joint concert with the Concert Chorale of Nashville, "Antioch was clearly the school that was most interested," said chorale president Thomas Limbird. The school submitted letters written by its choral students, choir director and principal. As a result, the two choirs will offer a joint concert at St. Henry Catholic Church on Sunday, April 27. The concert will be the first in a new partnership between the Concert Chorale of Nashville and Metro Nashville Public Schools. Together, the two choirs will perform "American Mass" by Ron Kean. The piece is a "Missa Brevis" or "Short Mass" merging American hymns and spirituals with traditional choral liturgy. Separately, the Antioch choir will perform "My Luve's Like a Red, Red Rose" by Robert Burns and Rene Clausen and "Omnia Sol (Let Your Heart Be Staid) by Z. Randall Stroope" — two pieces it performed at the Middle Tennessee Vocal Association Choral Festival. The Concert Chorale will also perform some pieces separately, and an orchestra composed of local professional musicians will perform with the two choirs. "The opportunity for us is immense — first of all, to be working with professionals and to get to perform with professionals," said Connie McCain, Antioch High School choral director. McCain said this performance likely will be an experience the students will never forget, regardless of whether they go on to be professional musicians. "Music is a lifelong learning experience, and if you have a good start, then you have that desire to continue learning," she said. Students get extra exposure, experience "We have always been interested in fostering classical music," said Limbird. The partnership "seemed (like) another way to get people interested in vocal music." Limbird, a professor of surgery and chief of orthopedic surgery at Meharry Medical College, said the chorale's members are volunteers, and most have non-music careers during the day. But, he added, most of them have degrees in music, and all of them have been trained. In addition, "We almost all sing in our church choirs or other musical groups," he said. The two choirs have been rehearsing for the concert since January. Chorale director Sherry Kelly has been working with the Antioch students on their performance. Kelly, who used to teach music at Belmont University, formed the chorale with accompanist Linda Ford. "They have a very good choir director," said Kelly, referring to Antioch's McCain. "But when somebody comes in from the outside, I think it's great for the kids to be exposed (to that)," she said. Kelly said she likes the piece the two choirs have chosen to perform together. "I think they all really get a feel for what the piece is about," she said. Teacher says it's 'most talented . . . group' It's a piece that McCain has wanted her students to do for a long time. With a mixture of familiar Protestant tunes and traditional parts of the Mass, McCain said the students are getting a diverse cultural experience. Also, she said, she believes they are ready to do the work involved in this style of choral music. "This is the group to do it," she said. "This is the most talented and musically inclined group I've had." 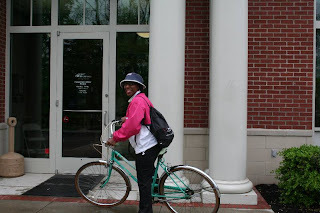 Nikeeta Tidwell, a senior, said she has enjoyed learning the Latin used in the Mass. She said she also honored that the chorale chose to do the concert with the Antioch choir. It's the first opportunity they've had to perform with a professional adult choir, and it shows that the chorale's members have confidence in them, she said. Nikeeta said Kelly has really challenged them. They really have to "know the music." Also, she said, she appreciates how McCain has challenged them and encouraged them in this endeavor. "It's something new to me," said senior Joshua McAdoo. "Her style of conducting is different from our director's style of conducting," he said about Kelly. Joshua said it's very different from the high school experience. This is what he expects studying choral music in college might be like. Joshua said he is glad that McCain is letting them do this. It shows that she really believes in them, he said. "It made me feel good about us as a choir." Metro Public Works will open a new recycle drop-off site at Tennessee State University Monday, April 21. This is the third site added this year. By RACHEL STULTS • Staff Writer (tennessean) • April 15, 2008 The 62 citizens who have enrolled in the 21st session of the Metropolitan Police Department’s Citizen Police Academy will begin training tonight. Participants will meet Tuesday nights for the next 12 weeks to learn about police work from the perspective of veteran Metro officers with a wide range of departmental experience. Electives, including a ride along with an officer and basic firearm instruction, will also be offered. Eight of the 62 people enrolled are police volunteer chaplains. Since the police department began offering Citizen Police Academy classes in 1995, 1,075 people have graduated from the program. By MICHAEL CASS • Staff Writer • April 15, 2008 The Nashville Predators have a new lease at the Sommet Center - one their owners say will give them a better chance of succeeding in Nashville - after a decisive Metro Council vote tonight. The council voted 30-8 for the new agreement, which comes after months of negotiations. It will give the hockey team's owners more money for managing the facility and more incentives for booking top events there while also protecting the city's investment in the Predators more effectively. A group of mostly local investors bought the Predators last fall from Craig Leipold, who said he lost some $70 million in nine-plus years. The Predators trail the Detroit Red Wings 2-1 in a first-round playoff series that continues Wednesday night at the Sommet Center. State rejects student-fatigue argument By NATALIA MIELCZAREK and COLBY SLEDGE • Staff Writers (Tennessean) • April 15, 2008 A group of Metro principals says a different achievement testing schedule this year left their students tired and discouraged, which could result in lower test scores needed to improve the district's poor federal standing. That's no excuse, according to the state Department of Education. Other districts have not seen problems under the format, which Metro was forced to use after previously skirting the rules. The Metro Nashville Principals Advisory Board, composed of principals across the school system, plans to send a list of concerns to Metro and state education officials later this week. The complaints address state-mandated achievement tests that Metro students completed Monday under the Tennessee Comprehensive Assessment Program. In a draft copy of the letter obtained by The Tennessean, the group said that administering both math sections of the test in a single day and both sections of reading in a single day caused students "extreme fatigue." Under former Schools Director Pedro Garcia, the district had been breaking up subject tests over multiple days. "We had several students who just quit working," said Alan Powell, principal at Glenn Elementary School. "I feel very discouraged because we're working very hard to make adequate progress. When you throw that kind of obstacle in the way, it's hard to do it." This is a crucial year for the Metro school system to ace the state achievement tests and start clawing its way out of trouble under federal mandates. The 75,000-student district came under state supervision this summer for not showing enough progress in some areas of the federal No Child Left Behind education law. More sanctions possible If the district doesn't improve with this round of testing, it faces more stringent sanctions, including losing funding. The state tests in grades 3-8 are used to determine such progress. The principals' fears of lower scores resulting from the testing changes are unfounded, according to the state Department of Education. "Other districts are clearly an argument as to why they can overcome that fatigue in kids," said Rachel Woods, spokeswoman for the state education department. "If they're there for an eight-hour school day anyway, they're used to being engaged for seven or eight hours a day." Under state regulations, students must take all of the tests on one subject during the same day, Woods said. All schools directors approve and are aware of the rules, Woods said. Metro officials said they considered the test requirements to be recommendations, not mandates. The changes benefited Merna Wasif, an eighth-grader at Head Middle Magnet School. Taking both sections of the same subject in one day helped the tests fly by more quickly. "You just finish that subject and you don't have to take testing a lot," said Wasif, who said she missed more classes last year under Metro's format. This year, Metro split up testing over two weeks. Next year, Woods expects that Metro will be required to administer testing in a single week, as other districts do. Review board says clerk's office has stymied its work By JENNIFER BROOKS • Staff Writer • April 14, 2008 The Davidson County Juvenile Court clerk's office is again being hit with complaints of long delays in the handing of crucial court records. Members of a volunteer board that reviews foster care cases fired off an angry letter to the court in early April, saying their case reviews had been repeatedly delayed by missing or mislaid files, documents in such bad condition they were falling apart, and court employees who seemed completely unfamiliar with their own filing system. The complaint comes less than a year after Metro Juvenile Court Clerk Vic Lineweaver was handcuffed and hauled off to jail on contempt of court charges for failing to produce missing case files. Angry court officials said it sometimes took his office months to find court files. This time, the complaint came from members of Foster Care Review Board Number 9, one of a dozen volunteer boards that review the cases of children in the foster care system in Metro. "More and more often, the inability to locate relevant documents within a file is problematic and frustrating as it prevents us from properly executing our responsibilities," four members of Foster Care Review Board No. 9 wrote in a letter to Juvenile Court Judge Betty Adams Green on April 1. In an e-mail obtained by The Tennessean under the state public records law, board members said four court case files failed to arrive in time for the start of their March 31st meeting, forcing them to delay or postpone their review of several cases. Board Chairwoman Frannie Weaver made two trips to the court during the meeting, hoping to track down the case files herself. "On both of Ms. Weaver's visits to request the files, not only was there no sense of urgency in securing the files, in fact the staff appeared to lack any understanding of the necessity in securing the files in a timely fashion," board members wrote. "One clerk was unable to locate one of the files at all without the assistance of a co-worker. A card in the electric retriever which would have indicated its location was missing." Juvenile Court Operations Director Julius Sloss said two of the cases were not in their files because they'd been pulled to appear on the court docket the day before. All but one of the cases were located and brought to the board before their meeting ended, he said. "With the volume of files we deal with, it's not uncommon for files to get misplaced or mishandled," said Sloss, a former Metro councilman who was hired late last year to help straighten out the day-to-day operation of the Juvenile Court clerk's office. Green, who ordered Lineweaver jailed last August for failure to produce court records in a timely manner, said the e-mail was the first indication of new problems in the clerk's office. In recent months, she said, the office seemed to be running much smoother, a change she credited to Sloss. Delays should be few The county Juvenile Court handles tens of thousands of cases a year, everything from juvenile offenders or children removed from unsafe homes to custody disputes. She acknowledged that some paperwork delays and errors are to be expected. "But they should not be several, and they should not be frequent," she said. Lineweaver, a former Metro councilmember who was elected Juvenile Court clerk in 2002, responded to Green's original reprimand by hiring Sloss. In response to the foster care board complaint, Sloss appointed a court employee to act as liaison and try to ensure the court documents reach the board on time for review. Members of the Foster Care Review Board could not be reached for comment. Lineweaver responded to their complaint with an angry e-mail of his own to Green, which was also obtained by The Tennessean. "It befuddles me that neither I, nor my staff, was made aware of the concerns of the members of Board #9, until we received a copy of the April 1, 2008 letter," he wrote. "It is also perplexing as to why the board chair did not request assistance from a member of management, when she felt that a staff member was not conveying a sense of urgency in securing the needed files. As you can see in the attachments, my staff responded immediately and took the necessary steps to allay the Board's concerns." He added: "Further, it is troubling that interoffice correspondence seems to be a figment of one's imagination since too often matters like this seem to fall into the hands of the press." Addiction recovery Agency: The Alcohol & Drug Council of Middle Tennessee Description: Seeks volunteers to answer its 24-hour Helpline. Shifts vary from five to 12 hours and can be split among volunteers. To volunteer: Call John or Mary Ann at 269-0029. Fighting cancer Agency: The American Cancer Society Description: Needs volunteer drivers to transport cancer patients to and from treatment. To volunteer: Call 327-0991. Fighting diabetes Agency: American Diabetes Association Description: Needs volunteers to help plan the annual fundraising walk and also help with some clerical work. To volunteer: Call Lynley McCarley at 298-3066, ext. 3332, or e-mail lmccarley@diabetes.org Liver wellness Agency: American Liver Foundation Description: Needs volunteers to help with events, do clerical work and be trained for speaking engagements. To volunteer: Call Kristy Weir at 297-6421 or at kweir@liverfoundation.org. Domestic violence haven Agency: Bridges of Williamson County Description: Needs volunteers to raise funds, sort donations, be a women's advocate, pick up donations, provide transportation and staff a crisis line. To volunteer: Call 599-5777. Helping children Agency: Cannon County Reach Description: Needs volunteers May 3 to paint and clean up. To volunteer: Call Angela King at 563-5518. Homes for all Agency: Community Housing Partnership Description: Needs volunteer building and painting crews. To volunteer: Call Stephen Murray at 790-5556 or e-mail Stephen@communityhousing.info. Juvenile court advocates Agency: Davidson County Court Appointed Special Advocate (CASA) Description: Needs volunteers to serve as juvenile court advocates for abused and neglected children in Nashville. Morning and evening training classes offered. To volunteer: Call Cindy Johnson at 425-2383 or visit www.casa-nashville.org. Christian women's job corps Agency: Diamonds in the Rough Description: Needs teachers who teach G.E.D., an interpreter, mentors and anyone who loves working with single women and children. To volunteer: Call 500-4785. Family literacy program Agency: Estoy Aprendiendo ("I'm Learning") Description: Needs volunteers to tutor children and adults. To volunteer: Call Tracy Jennings at 941-8658. Helps the developmentally disabled Agency: Evergreen Presbyterian Ministries, Inc. Description: Needs a carpenter to lower cabinet and build storage spaces, a musician for music therapy and an artist for arts and crafts sessions. To volunteer: Call Sereadia Dunn at 366-7454 or e-mail sdunn@epmi.org. Rescues animals Agency: Happy Tales Humane Description: Happy Tales Humane is need of foster "parents" for dogs and kittens. ,b>To volunteer to foster a dog: Please call (615) 791-0827, ext. 14 or email Caninecorner@happytaleshumane.com. If interested in fostering kittens, call 791-0827, ext. 11 or email kmathis@happytaleshumane.com. Helps at-risk children Agency: Monroe Harding Description: Needs mentors and tutors for at-risk children. Training will be provided and the time commitment can be as little as an hour a week. To volunteer: Call Melissa Houck at 298-5573, ext. 121 or e-mail melissahouck@monroeharding.org. Learning supplies for at-risk children Agency: PENCIL Box program of the PENCIL Foundation Description: Needs shopping assistants during teacher appointments Tuesday-Thursday from 2-5 p.m. at 1300 56th Ave. North, Nashville, TN 37209. To volunteer: Call Sarah Killpack at 242-3167, ext. 233. Supports Nashville public schools Agency: PENCIL Foundation Description: Needs volunteers to become tutors and mentors to students during the school year. Reading Partner volunteers serve elementary students as one-on-one tutors and classroom readers. Math Partner volunteers tutor fifth and sixth graders using manipulatives and problem-solving activities. To volunteer: Call Pencil at 242-3167, ext. 235 or visit www.pencilfoundation.org. Services for the mentally challenged Agency: Prospect Inc., Description: Needs volunteers to wash vans and help with various individuals. To volunteer: Call Bill Potter at (615) 444-0597. Saving lives by organ donation Agency: Tennessee Donor Services Description: Needs volunteers from throughout Middle Tennessee to make presentations to business, civic and church groups and at a wide range of special events to inspire others to become organ and tissue donors. Training is provided. To volunteer: Call Misty Armour at (615) 564-3633 or e-mail marmour@dcids.org. Tennessean---Special Events Nashville Zoo will welcome Mayor Karl Dean to officially launch Week of the Young Child, a week of activities focused on early childhood education, at 3 p.m. Saturday, April 12. The kickoff celebration will include a proclamation from Dean; children's activities; and entertainment. As part of the celebration, the zoo will offer free admission, beginning at 2 p.m., for children 12 and younger. At 3 p.m., Adam and the Couch Potatoes will offer a free concert in the zoo's amphitheater. After the concert, Dean will proclaim the Week of the Young Child. The program will end with an educational animal show. Afterwards, guests may explore the zoo and participate in an array of children's activities. The purpose of Week of the Young Child is to focus attention on the rights and needs of young children. Literacy Jazz Café raises money for scholarships The Delta Sigma Theta Sorority, Inc. Nashville Metropolitan Alumnae Chapter will have a Literary Jazz Cafe from 2 p.m. to 5:30 p.m. Sunday, April 20, at The Place, 217 Second Ave. S. The Literary Jazz Cafe is a way for the group to raise money for its scholarships in partnership with the Fortitude Foundation. The event will feature local artists, authors and spoken word guests and the talent of the NMAC Deltas. Walk & Roll takes benefits agencies to help disabledHCA/ TriStar will present "Walk & Roll — Focus on Abilities" on Saturday, April 19, at the Centennial Park Event Shelter, adjacent to the train in Centennial Park. The event is a fundraising walk/run to benefit four nonprofit agencies that provide services to children and adults with disabilities in Middle Tennessee. Organizations that will benefit from the event are A.B.L.E. Youth, www.ableyouth.org; League for the Deaf and Hard of Hearing, www.leagueforthedeaf.com; Progress Inc., www.progress-inc.org; and Technology Access Center; http://tac.ataccess.org. Events will include a 5K Run, 5K Walk, and ¼ Mile Accessible "Roll." The 5K Run begins at 8 a.m. The 5K & Accessible Short Course walk begins at 9 a.m. The team registration deadline is Friday, April 11. Individual registration will take place through the day of the event. The entry fee for the 5K run is $25. Participants may pre-register by visiting www.active.com. Everyone is welcome to participate in the family-friendly 5K & Accessible Short Course walk in a show of support for individuals with disabilities. Activities are planned for the enjoyment of the entire family. A family registration rate is available. Anyone contributing $25 or more will receive a walk T-shirt. Participants are encouraged to raise additional funds in support of the event. Prizes will be awarded to top fundraisers. Event proceeds are equally divided among the collaborative partners. For more information, contact Susan Jakoblew at 399-3000, ext. 39. Outcome of Metro cases may be called into doubt By KATE HOWARD • Staff Writer Tennessean)• April 12, 2008 Allegations that a Metro ballistics examiner falsified reports in an attempt to cover up his errors spurred police to temporarily close the ballistics lab where they test evidence in gun crimes, and called into question the credibility of Metro's ballistics analysis. Michael Pyburn, a 30-year veteran of the department, retired early this month before he could be disciplined. Though Pyburn was doing his work, police said he routinely skipped the step of adding his findings to the ballistics database used by Metro and other jurisdictions across the country to solve gun crimes. With the closing and reassignment of two other examiners deemed to be underqualified, the department plans to get a second opinion on recent work that led to arrests, and to start over with a civilian staff. In the meantime, the Tennessee Bureau of Investigation will add analysis of Metro's guns, bullets and casings to its workload for police departments throughout East and Middle Tennessee. The average turnaround time last month on that type of evidence was 12 weeks, the TBI said. "It is imperative that the police department and its law enforcement partners have confidence in ballistics testing and reports generated from our ballistics component," police spokesman Don Aaron said. "Due to the Pyburn situation, that confidence, both internally and externally, has understandably eroded." Aaron said the department was not aware of any cases in which ballistics evidence had played a major role in a conviction. Davidson County Public Defender Ross Alderman said the issue should bring about serious evaluation from prosecutors and defense attorneys on how this might impact current and old cases. A criminal case rarely hinges on the gun or bullet alone, Alderman said, but he still thinks it's important to revisit evidence that may have played a major role in a police investigation. "I think in any situation like this, the immediate assumption is that it calls into question everything the lab has ever done," Alderman said. "That may or may not be true." TBI double-checked Metro shut down operation of its ballistics lab April 1 after learning from TBI that Pyburn had incorrectly connected five bullets to the same gun. When TBI examined the evidence, it found that two of the five were fired from a gun of a different caliber, according to TBI spokeswoman Kristin Helm. "He asked the TBI not to say anything about this, and he went back and created paper work to cover up the fact that his first report was wrong," Aaron said. According to a memo from Deputy Chief Steve Anderson, Pyburn probably would have been fired. His personnel record indicates this wasn't the first time Pyburn, 52, had been in trouble with the department. He was suspended for 15 days in 1992 after writing inaccurate reports and improperly securing evidence. Pyburn was leading a case in the vice unit involving fellow officers suspected of illegal gambling, and vital photos and other evidence were missing at the close of the case. A sergeant confronted Pyburn about wrong information in a report, and he later amended it to change the mistake. He also shared evidence — a recorded conversation — to an informant's attorney without permission, according to the disciplinary report. Shorter suspensions dating back to 1976 were for damage or loss to department property, not appearing in court and a discipline for writing obscene words across receipts he submitted to the General Sessions court clerk. Pyburn could not be reached for comment. Aaron said that two other ballistics examiners were not properly washing bullets before they were inspected, leading to questions about whether the examiners were following procedures. They were transferred Thursday to the warrants division. The department plans to restaff the lab with civilians in hopes they'll be more focused on the science of evidence analysis than on law enforcement. Training through the Tennessee Bureau of Investigation can take up to two years. TBI investigators have agreed to use Metro's equipment periodically to keep it in use. Aaron said he could not put a time frame on how long the department will be waiting to reopen the ballistics component. "It's going to be done right, and if it takes two years, it'll take two years," he said. Incumbent Thompson cites career needs By JAIME SARRIO • Staff Writer (tennessean) • April 11, 2008 A veteran incumbent and two other candidates dropped out of the Metro Nashville school board race Thursday. Board member George Thompson, who represents District 1, would have faced Sharon Gentry, a health-care executive and wife of former Vice Mayor Howard Gentry, and other opponents. District 9 candidates Sonny Farmer and former Metro Councilman John Summers also withdrew Thursday. Thompson, initially elected in 1996, cited "personal and professional reasons" for pulling out of the Aug. 7 election. He represents the Bordeaux and North Nashville area. "We're in a new environment, and personally I see the load of the board members getting heavier," he said. "I feel I am up to the challenge, but it's become more and more time, and I need to focus on my law practice." The election comes at a pivotal time for the 75,000-student school district. The new board will have to pick a new director of schools, and the district is in poor standing and faces sanctions under the federal No Child Left Behind education law. Open mind praised Longtime educator and Nashville School of the Arts Principal Bob Wilson knew Thompson as a board member and a parent. Thompson's daughter was an accomplished dancer at NSA. Wilson said the representative was always approachable and willing to listen, and he hopes future leaders approach the job with an open mind and a willingness to try new things. "I'd like to see someone who comes in with ideas that are not too traditional, because a lot of the traditional stuff isn't working," Wilson said. Barry Barlow and William D. Mason Jr. also are running in Thompson's district. Summers said he decided not to run in District 9 because he did not want to take time away from his wife and 5-year-old child.